Whew! What a week! I've felt like I've been playing catch up ever since just before Orlando, but this week was really hectic. There was the clean up after the prep for the Craft Fair and that was like Hurricane Hannah hit the Craft Cave. Then I was late getting my newsletter out, but spent a whole morning with one member of our sponsored family at the walk in clinic. I spent a short time there myself Monday afternoon, getting my left thumb stitched up where I cut it with my large, sharp scissors! And it was so sore! 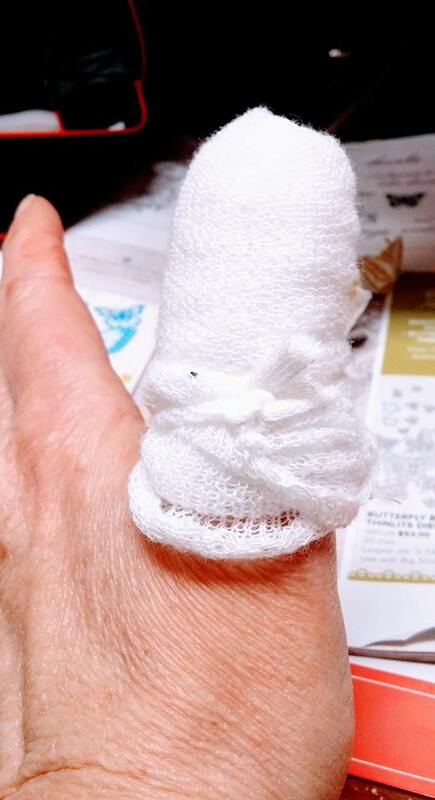 It's my dominant thumb, so it's been really slowing down production, not being able to write or craft with the proper use of that digit! Then we had our Team Christmas Party and I was frantically trying to finish the "handmade gift" for our gift exchange. 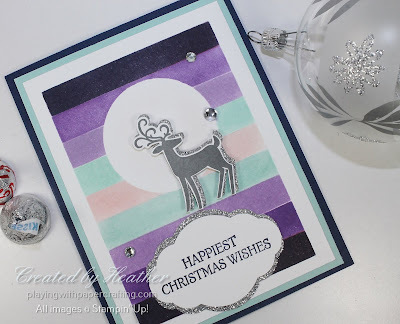 Plus I had to prepare for for my Christmas Gift Tag class last night. Throw in the pre-order and a couple of last minute Christmas orders for customers and you get the picture. I've had a couple of 3 am nights in there. Using Post-It Note Tape (boy, that stuff is useful) I created sponged stripes up an area of about 3 1/2" x 4 3/4" using colours matching a sunrise in a way, from Night of Navy through Gorgeous Grape, Highland Heather, Pool Party to Blushing Bride and back again. At the higher stripes, I laid down a 2"Circle punch mask, using Full Adhesive Post It Notes, to create a moon, or sun. Once the sponging of the stripes was complete, I sponged a very little light layer of Blushing Bride on the circle to take away the starkness of the white. 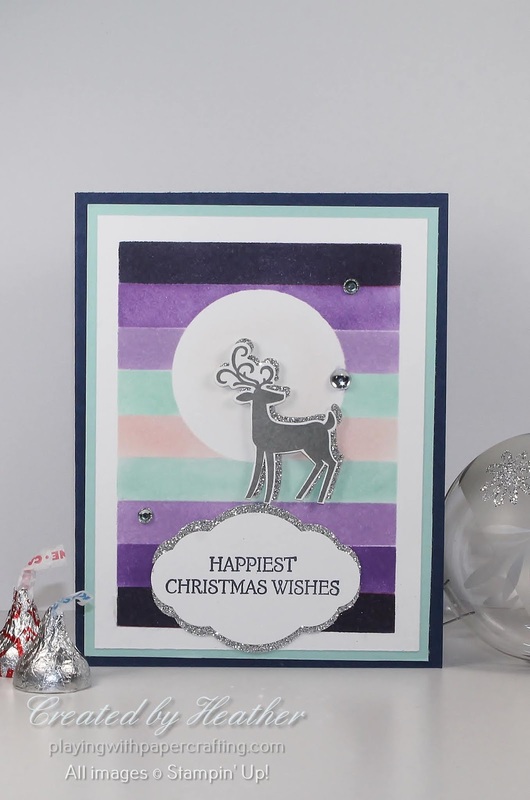 The deer, from the Dashing Deer stamp set, is stamped in Basic Gray and die cut with the Detailed Deer framelits and backed with the same die cut in Silver Glimmer Paper, like a glittering light highlight. The sentiment is from Dashing Deer and is stamped in Night of Navy and punched out with the Pretty Label Punch and backed with Silver Glimmer paper. I added some rhinestones as accents. 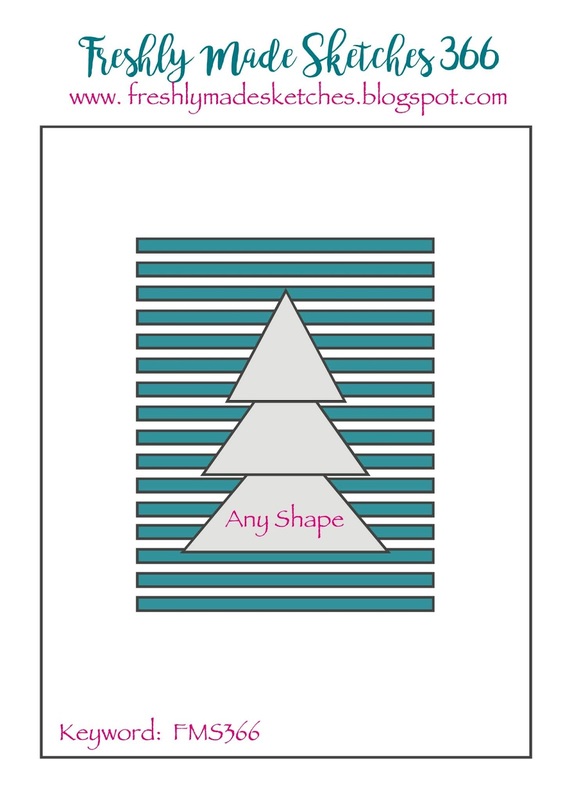 A fairly simple looking card, but it took awhile to accomplish. Want to get one of those awesome Craft & Carry Tote bags? 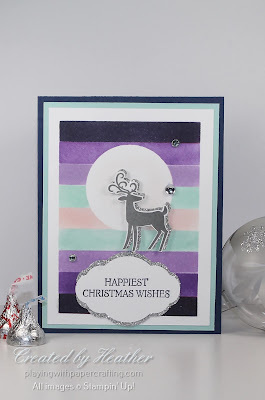 There's only one way to do that - with the Stampin' Up! Starter Kit, starting January 3. And my guess is that they're going to go fast, because I have one and they are FANTASTIC! So start planning on signing up as soon as the sun rises on January 3!! Set a reminder on your phone calendar! Really, it's no biggie to join Stampin' Up! It's the greatest deal in the catalogue under normal circumstances, but during Sale-A-Bration, it's EPIC! $225 worth of products (any current products you like) for only $135 dollars with FREE SHIPPING!! That's Option One and it sounds amazing! 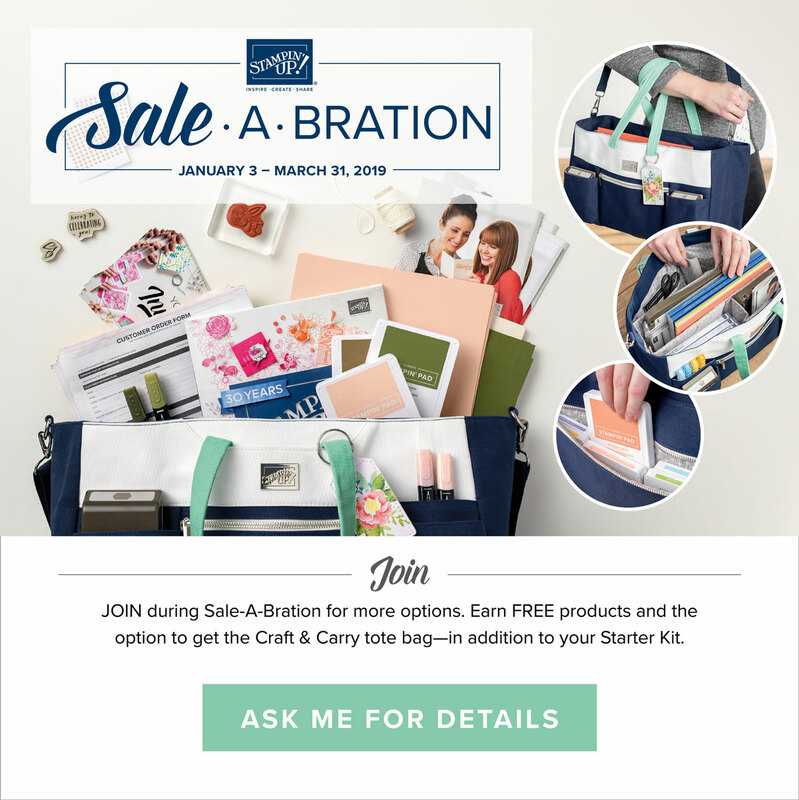 But if you add just $40, you can get the Craft & Carry Tote (worth $78) added on to your Starter Kit! So $175 will get you $225 worth of free product AND the Craft & Carry Tote. What happens if you sign up and get the Starter Kit? You immediately begin to enjoy the perks of being a Stampin' Up! Demonstrator. You can order for yourself on line and get a 20% discount! 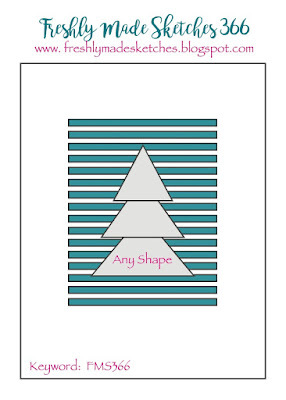 You can see and order from new catalogues a month or more ahead of the public. You have access to a library of information on starting your own business, plus a great team here in Kelowna to help you out in so many ways. 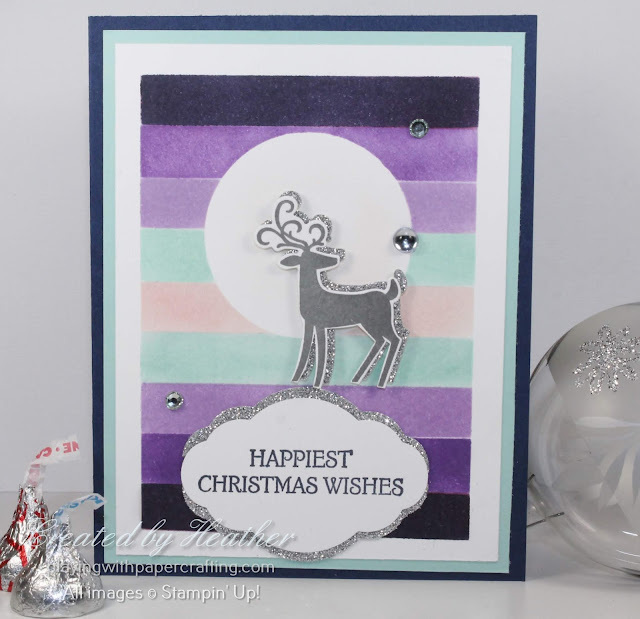 You join a group of fellow crafters who love to talk stamping! There are no risks involved. I tell you this now so you can begin to plan for Jan. 3! I'd love to have you on my team!